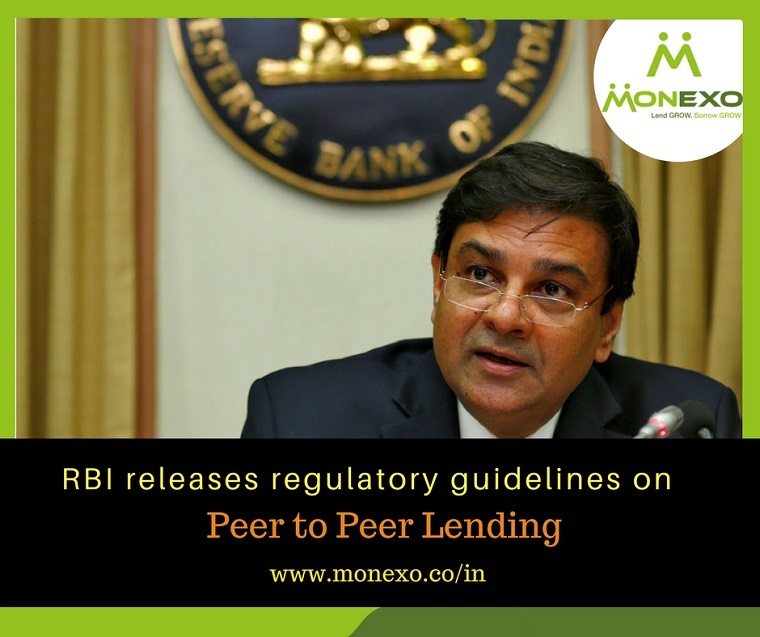 At Monexo, we welcome RBI’s decision to regulate Peer to Peer lending platforms as a new class of Non Banking Financial companies (“NBFC - P2P”). The Master Directions for P2P platforms released on the 4th of October reiterate the regulator’s belief in the potential P2P lending has as an alternative credit channel and its ability to deepen financial inclusion while providing investors the opportunity to access lending as an asset class for better returns and portfolio diversification. Monexo was the first P2P lending platform in India to implement the Escrow account framework for transfer of funds between lenders and borrowers and to also initiate credit bureau reporting of loans disbursed through the platform. We are happy to note that the RBI has clearly recognised and recommended the use of both these practices as part of the final regulatory framework. ●Platform to ensure that every loan disbursed through the platform is backed by valid loan agreements between lenders, borrowers and the NBFC P2P. The success of the model globally throws interesting insights into how P2P lending can evolve to service the credit requirements of aspirational, digitally savvy borrowers who expect a more inclusive, instant framework of access to credit. With a significant drop in fixed deposit rates and other asset classes like real estate performing poorly, P2P lending is also poised to fill in a significant vacuum in the investor’s portfolio as an attractive alternative debt investment for high yield and regular income.